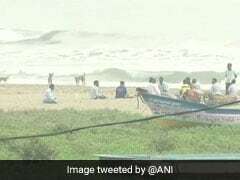 Gaja Cyclone Chennai: Cyclone Gaja is expected to hit the coast near Nagapattinam in southern Tamil Nadu tonight. Schools and colleges in five districts in the state and Puducherry are closed today. As it approaches the coast, "Gaja", which means elephant in Sanskrit, is expected to bring heavy rain and strong winds in coastal Tamil Nadu and Puducherry. The Navy has been put on high alert to be ready for any assistance. Fishermen in the region have been asked to not venture out to the sea. 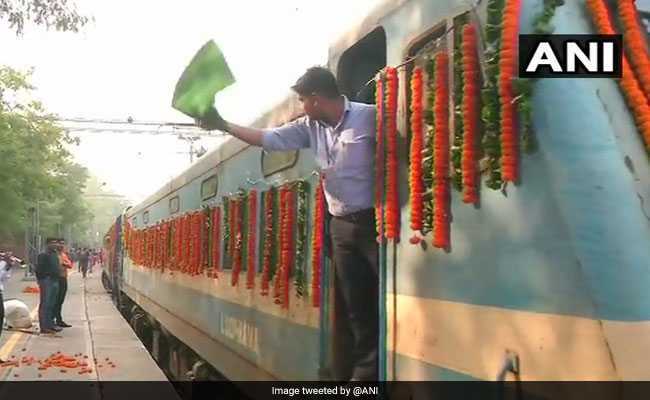 The Shri Ramayana Express, a special tourist train to run on the Ramayana circuit to cover major spots related to the Hindu epic was flagged off on Wednesday from Safdarjung Railway Station in Delhi. The train will complete its journey till Rameswaram in Tamil Nadu, in 16 days covering all important destinations associated with the life of Lord Ram. On day one, the Shri Ramayana Express departed with 800 passengers. 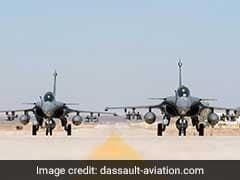 The government has opposed the prospect of the Supreme Court reviewing the Rs 59,000-crore deal under which French firm Dassault for 36 Rafale fighter jets, saying only experts can undertake such an exercise. "Is the court competent to judicially review this?" the government's top law officer asked at the four-hour hearing today. As the French deal turned into a huge political controversy, with allegations of corruption and crony capitalism, a number of petitions sought a court-monitored probe. The judges said the pricing of the jets -- which the Congress demands be made public -- will not be debated till the court is convinced that it should be in public domain. The court has reserved its order. 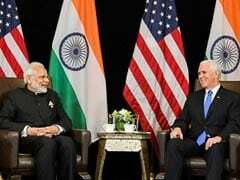 Prime Minister Narendra Modi and US vice president Mike Pence, who met in Singapore today, discussed countering terrorism. 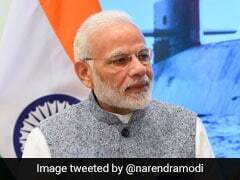 PM Modi said that the mainstreaming of 26/11 mastermind Hafiz Saeed in Pakistan should be a matter of serious concern not just to India and the US but to the international community. The two leaders met on the sidelines of the East Asia Summit. PM Modi, who reached Singapore early Wednesday morning, has a series of high-profile meetings lined up in the island nation. PM Modi is on a two-day visit during which he will attend the East Asia Summit, an ASEAN-India informal meet. Election in Chhattisgarh: Polling has ended in 18 seats in Chhattisgarh's Maoist-hit areas. The remaining 72 constituencies will vote on November 20. The BJP government led by Chief Minister Raman Singh is looking to hold on to power for a fourth term. The Congress campaign is trying to swing votes by promising to keep farmers happy and not letting unchecked development bulldoze the interest of fragile communities in the Maoist-hit state. Former Chief Minister Ajit Jogi's new party is also in fray, in alliance with Mayawati's Bahujan Samaj Party. The Congress, which failed to seal a deal with Mayawati, fears the combination will dent its chances. 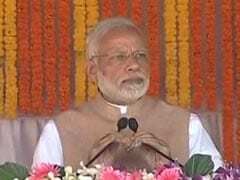 "I have been told that people in large numbers are voting in the (Maoist-hit) Bastar region," PM Modi said at a rally in Bilaspur for the second phase. 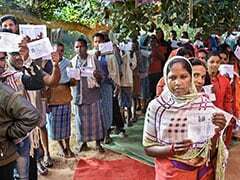 Voting has started in 18 seats in the Maoist-hit areas of Chhattisgarh under heavy security cover, flagging off the last round of assembly polls before next year's general elections. The remaining 72 constituencies will vote on November 20. The Raman Singh government, which has been in power for three consecutive terms, is seeking a fourth mandate. The Congress hopes to recapture power claiming huge anti-incumbency. Former Chief Minister Ajit Jogi's new party is also in fray, in alliance with Mayawati's Bahujan Samaj Party. The Congress, which failed to seal a deal with Mayawati, fears the combination will dent its chances. The 136-km-long Western Peripheral Expressway, also known as the Kundli-Manesar-Palwal (KMP) Expressway, will become fully operational on November 19 with the inauguration of its 83-km-long Kundli-Manesar section. Running over nine years behind schedule, the expressway was to be initially inaugurated tomorrow. Prime Minister Narendra Modi and Congress president Rahul Gandhi hit the campaign trail today in Chhattisgarh, where people will vote for the assembly elections in two phases on November 12 and 20. Mr Gandhi attacked the BJP government over alleged inaction against insolvent businessmen who have "fled the country". 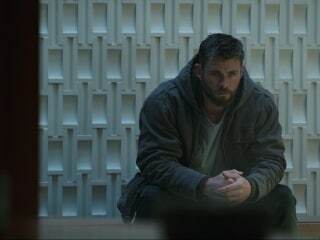 "You have heard about Nirav Modi. 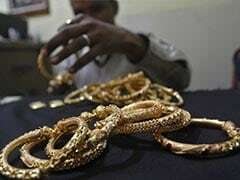 That person met the finance minister before leaving for London," Mr Gandhi said. 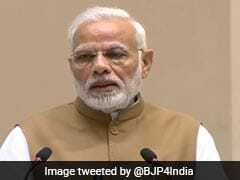 PM Modi, after introducing a group of BJP candidates and asking people to vote for them, said, "We have put an end to discrimination and lived by sabka sath, sabka vikas (development for all)." The second anniversary of demonetisation triggered a full blown Twitter war between the BJP and the Opposition parties on Thursday. While the Opposition described it as a "disaster" the BJP said, it was a "stringent action against corruption". 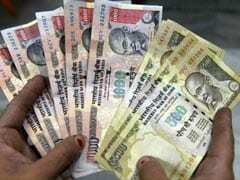 The Congress has called for a nationwide protest on Friday and the Trinamool said it will observe a 'Black Day' to mark two years of notes ban. Former Prime Minister Dr Manmohan Singh in a statement said, "The havoc that it unleashed on the Indian economy and society is now evident to everyone. Notebandi impacted every single person, regardless of age, gender, religion, occupation or creed." With three weeks to go for the assembly polls, Mizoram is witnessing an unprecedented situation where the state's people and political parties are at loggerheads with its chief election officer. Protests, held across the state since last week, ended today after the official was summoned to Delhi by his bosses. The officer, SB Sashank, had pushed for the removal of the state's home secretary, accusing him of interfering in the electoral rolls revision process. The Election Commission had acted immediately. 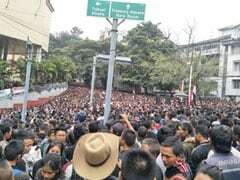 But it provoked the Mizo youth, who want the bureaucrat, a local, be reinstated and the election official shunted out. 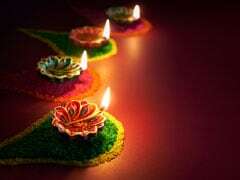 Diwali, the festival of lights is here. For most, Diwali is about family get-togethers, reunion with friends, dinner with loved ones and poker night. 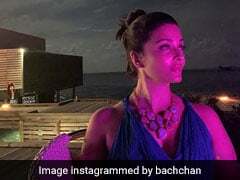 However, for people staying away from home for work or studies who do not have plans this year, there are a number of things you can do rather than bursting crackers. 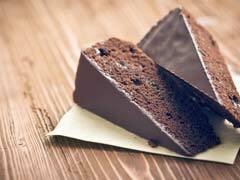 So those introverts who do not want to go that party invite by a colleague, do not be disheartened. 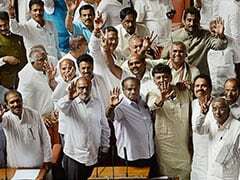 The ruling Congress-Janata Dal Secular (JDS) alliance in Karnataka has won two assembly seats and two Lok Sabha seats in bypolls that are expected to have an impact on opposition moves to forge a grand coalition to take on the BJP in next year's national election. The BJP has won only one parliamentary seat, Shivamogga, vacated by former chief minister BS Yeddyurappa. The Congress has surged ahead in Ballari, a BJP stronghold since 2004. The ruling alliance has won the Mandya Lok Sabha seat and the assembly constituencies of Jamkhandi and Ramanagara. An upper hand in these by-elections will be seen as validation for the Congress-JD(S) coalition amid digs about its longevity from the BJP, which is still smarting at its failure to form a government despite winning the most number of seats in the May state elections. INS Arihant, India's first nuclear ballistic missile submarine, has completed its first deterrence patrol today. This means the submarine is fully operational and, when deployed, for extended patrols, can target regional adversaries such as China with nuclear-tipped submarine-launched ballistic missiles. 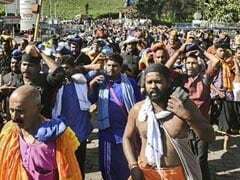 The row over protests at Sabarimala peaked today as a video surfaced that shows Kerala BJP chief Sreedharan Pillai allegedly taking credit for the way the protests unfolded. As local television channels aired the video, Chief Minister Pinarayi Vijayan tweeted that it proves the BJP "connived to create trouble in Sabarimala". Around 2,300 security personnel -- including a 20-member commando team and 15 policewomen above the age of 50 - have been posted to keep the peace as the temple opened its doors for two days of worship this month. Last month, despite the Supreme Court order, the protesters had enforced the traditional ban on women of reproductive age at the hill shrine. It took 14 years to build it, but the iconic Signature Bridge is finally ready for Delhi. The much-awaited bridge was inaugurated by Chief Minister Arvind Kejriwal on November 4, and thrown open to public on November 5. The grand launch will be followed by a laser show. The Signature Bridge will be the first asymmetrical cable-stayed bridge in India and will offer panoramic view of the city. 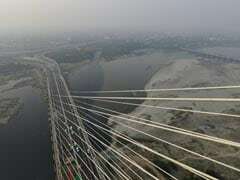 Built over river Yamuna, Signature Bridge will reduce the travel time between north and northeast Delhi. It will also share the traffic burden of the Wazirabad bridge.